Waterfall Info: This is the second (from the bottom) waterfall on Emery Creek. 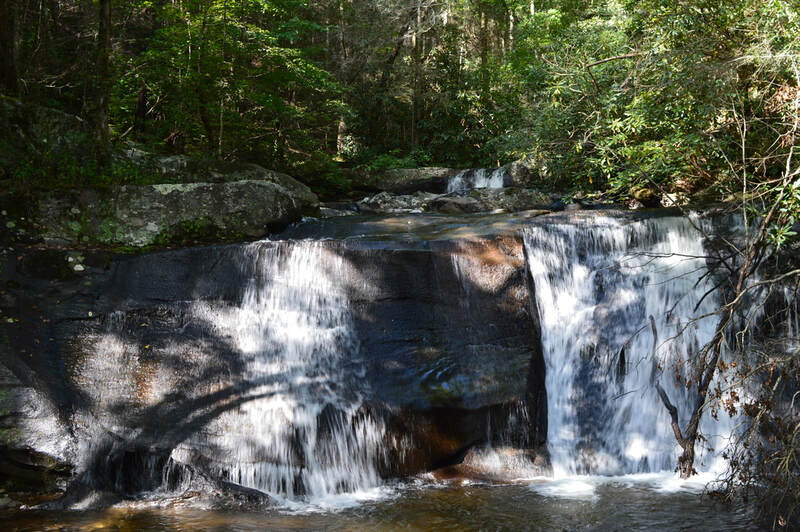 This small drop is located by a popular campsite immediately upstream from Emery Creek Falls (First Falls). Access Info: Follow the Emery Creek Trail from FS 18 with numerous creek crossings. An official signed side trail leads to Emery Creek Falls (First Falls), from where a crude scramble path leads upstream to Second Falls.